This Country Inn is so far held up to all others that I've stayed at and that it is very nice. Was surprised when I went down to get coffee that they were out but that would be my only complaint. Hotel and room was excellent, but dining room could be cleaned better. Receptionist and some guests behavior poor. Nice, clean, didn’t like the positioning of the TV, makes it difficult to lounge in bed andxwatch tv, hard on the neck. Great hotel. Kids love it. We will surely stay again during our trips. The customer service was so good I thought I was at a 5 star hotel. Rooms where clean and breakfast was hot and fresh.The only negative thing was beds was low but still comfortable. So you're kicking around the idea of a getaway to Covington? 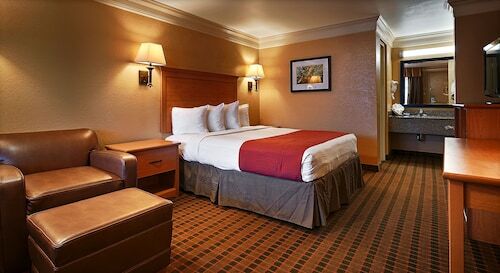 If you want a place to lay your head that's located close to Covington attractions, use Orbitz to pick your travel dates, and then presto! Review the list of hotels and other accommodations to find those that are close to everything you want to see and do. 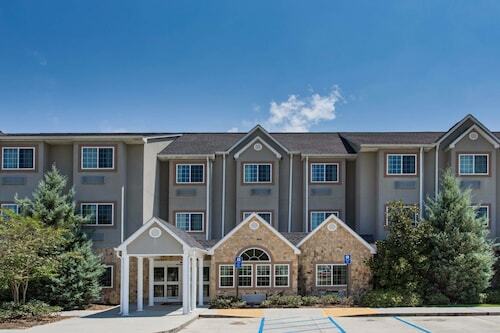 You may not find the ideal accommodation in the center of Covington, but you can pick from 79 accommodations nearby. Search by filters such as price, neighborhood, guest rating, or popular locations, depending on what's most important to you. We make it easy to find a convenient flight into New Orleans, LA (MSY-Louis Armstrong New Orleans Intl. ), which is 35.2 mi (56.7 km) from the heart of the city. Find your ideal flight in nothing flat by using the filters on our site to narrow down your search. Go for a swim when you stay at one of these Covington properties, noted for their pools. What's the Weather Like in Covington? The staff were more than helpful, upbeat, a pleasant change to recent activity with other hotels. The room was clean and roomy. The ONLY complaint is there was not bathtub, just a shower and the tile were aged so they looked dirty.